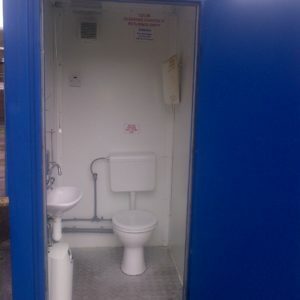 Our mains toilet block facilities can be supplied complete with waste holding tank, water tank and pressure pump, where no mains service connections are available. The multiple user shower unit has individual compartments for complete privacy. In addition to shower compartments, the 2+2 unit also has toilet facilities, which are separate to the shower and can be used independently. 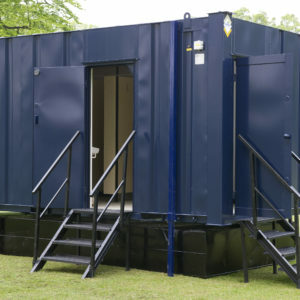 We provide a complete range of quality temporary site accommodation and portable toilet facilities, and aim to be a ‘one-stop’ solution for all site service requirements.